Keylogger Software traces chat activities of employees, spouse, kids, partners, students and other people in secret mode. Install keylogger program to record online chat conversations on Facebook, Gmail, Yahoo, Bing, MSN and various other service providers. 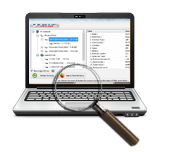 PC Monitoring tool provides hidden PC surveillance utility to record keystroke activities performed by external users. Keystroke Recorder software provides parental monitoring feature to track child visited website URL and various other system activities even if you are far away from PC. Websites visited: Tracks unauthorized user visited website URL. 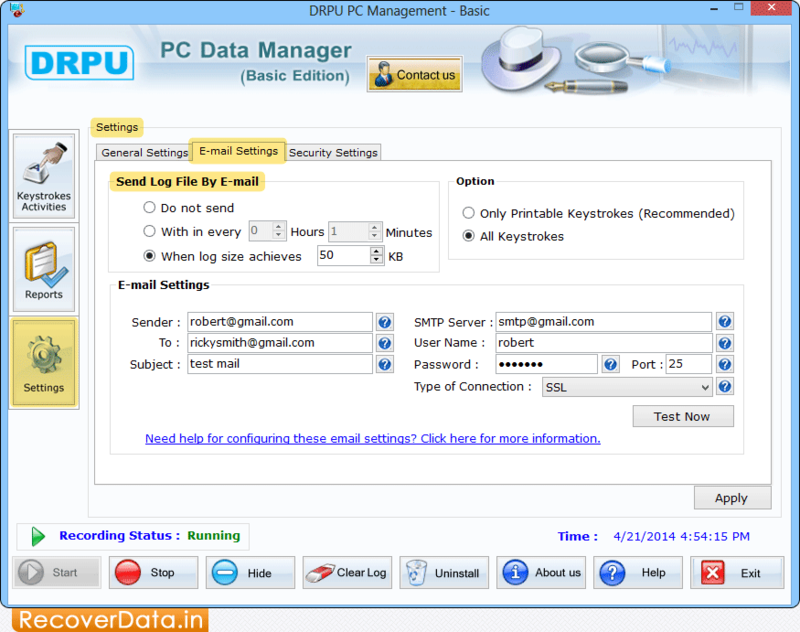 FTP settings: Send log files of tracked PC usage to any email ID or upload via FTP settings.